R.W. Bro. Thomas Valentine, 32o, J.P.
R.W. Bro. Thomas Valentine, 32o, was Provincial Deputy Grand Master during a period of twelve years, and was greatly beloved for his kindly and friendly disposition. He ruled with a gentle hand ad made an excellent chairman. 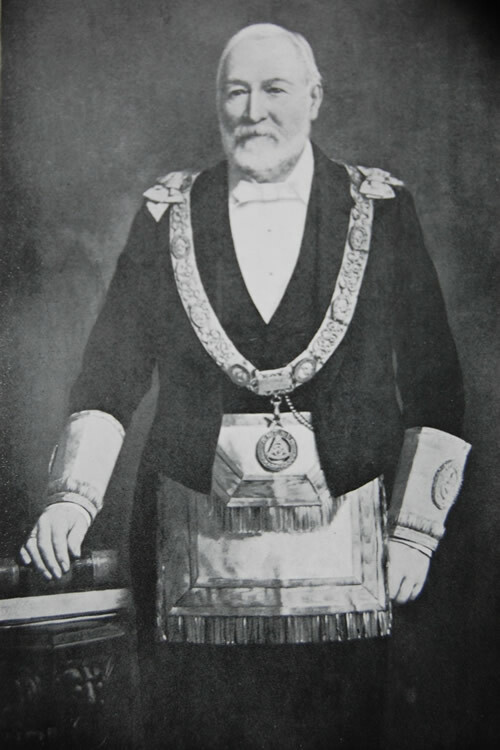 His presence at Provincial Grand Lodge was always welcomed by his brethren, and his interest in the working of the Craft was genuine and sincere. He was one of the old merchants of Belfast who helped to make the city famous for its staple industry, which contributed so much to its prosperity.